We are one of the leading manufacturers and exporters of Rotary Valves in the market. The Rotary Valves offered by us are used for continuous material feeding under vacuum or pressure while sealing in air and gas. The principle of gravity is used for dropping the material in the container. This is done with the help of a rotor. The rotors are driven with the help of standard geared motor. 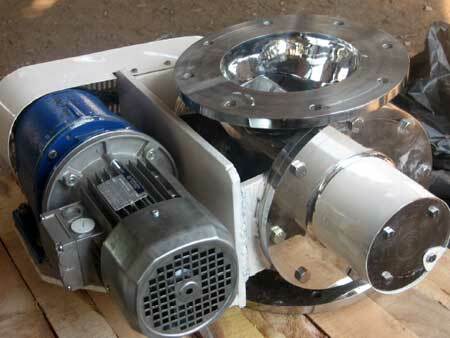 We offer our Rotary Valves in various sizes and can also customize them according to customer specifications.